Multipure’s Aqualuxe Brings the Future of Water Treatment. Types of contaminants include some pharmaceuticals, over-the-counter medications, herbicides, pesticides and chemicals used in manufacturing such as bisphenol A (BPA). Filter innovation elevates the Aqualuxe to unprecedented levels of contaminant reduction. Design inspiration blends form and function into Multipure’s first artwork appliance. 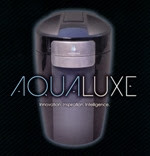 Technological intelligence lets the Aqualuxe communicate and integrate with your home and lifestyle. The Aqualuxe is Multipure performance amplified. It treats contaminants of Aesthetic Concern (NSF/ANSI Standard 42). 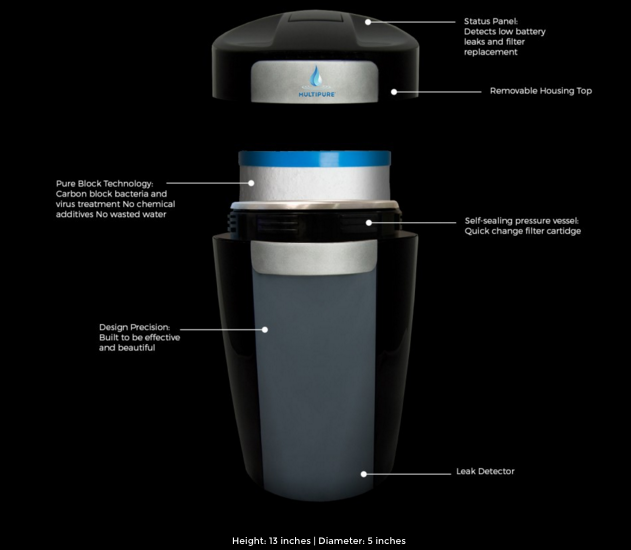 It treats contaminants of Health Concern (NSF/ANSI Standard 53). It treats Emerging Compounds (NSF/ANSI Standard 401). It treats bacteria and viruses (NSF Protocol P231). To view our teaser video, please visit http://youtu.be/svSy1E–2Sg. To check out our teaser flyer, please visit http://www.multipure.com/media/mp-new-product.pdf.